One of Balboa's best! She has it all! 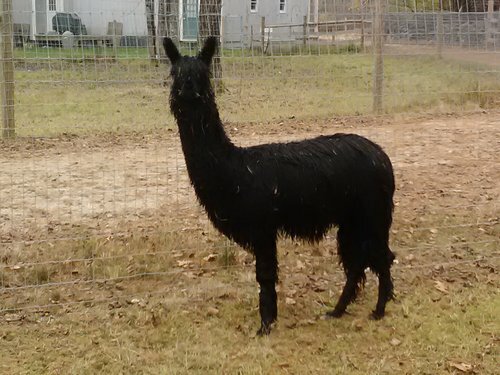 Makayla of PVA is a raven-tressed beauty straight out of a storybook of old, except that she has four legs instead of two. Her long lustrous locks rival anything that Sleeping Beauty or Rapunzel could produce. 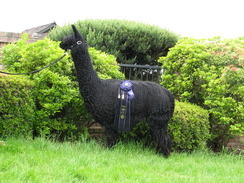 Rather than the love of handsome princes, Makayla earned the admiration of judges at the 2010 CABA and Camelid Extravaganza earning COLOR CHAMPION, making her a 3rd generation COLOR CHAMPION. Mariah is a stunning true black out of the great MacGyver's Balboa. Her lock and luster are truly amazing. 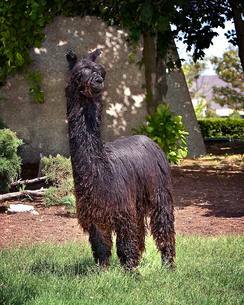 Mariah was the black Reserve Color Champion at the 2012 Buckeye and Reserve Dark Suri Female at the 2012 PAOBA Breeders Showcase.